ZF regularly integrates its innovative products into vehicles in order to show how creatively ZF engineers are already implementing tomorrow’s mobility functionalities into the vehicles of today. A truck that autonomously maneuvers around the ramp, lifts and sets down swap bodies? An all-electric delivery van that autonomously drives to the next delivery address while the courier delivers the parcel? A passenger car that can prevent accidents while allowing locally emission-free driving? Or a tractor that can be remotely controlled to connect itself to farming equipment or, despite fully loaded trailers, is able to climb extraordinarily steep inclines? Vision Zero – a world with zero accidents and zero emissions – will only become a reality when all vehicles are electric, autonomous and connected. On the road toward this reality, ZF’s all-electric Vision Zero Vehicle is reaching important milestones in the transition phase from assisted to autonomous driving. 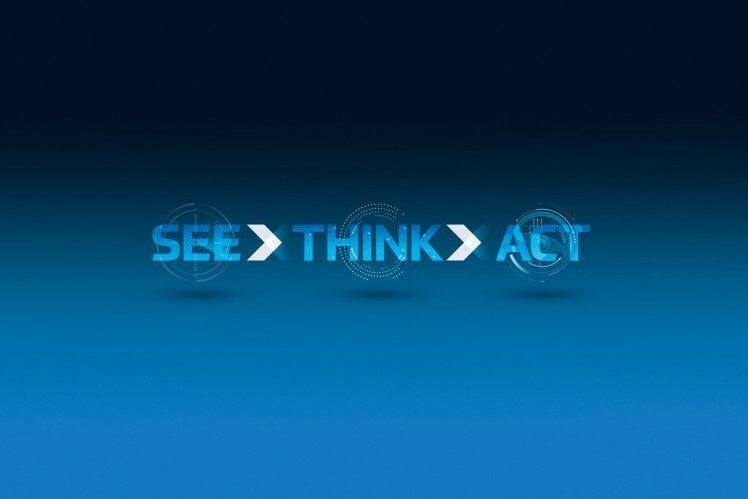 Innovative safety systems enable the vehicle to see, think and act – even if the driver is distracted. With its new concept vehicle, ZF shows how intelligently networked systems can contribute to a world with zero accidents. With its automated electric concept car, ZF has taken a great leap ahead in terms of a mobile world with zero accidents and zero emissions. From bikes to buses: ZF offers electric drive solutions for almost all vehicle segments. Four examples. Aided by the ZF Swap Body Pilot function, the unmanned ZF Innovation Truck maneuvers around the depot. As soon as the driver has entered the premises, he can get out, activate the autonomous driving mode and then take his mandatory break. The truck will find its way to the target position, driving autonomously and electrically. Once there, the truck will unload any swap bodies it may already have loaded using its Swap Body Pilot function. Likewise, the ZF Innovation Truck will then load a new container autonomously. The fact that the truck is able to maneuver exactly under the swap body is a central advantage of the Swap Body Pilot: This driving maneuver is extremely demanding when carried out manually, even for experienced truck drivers. Controlled by ZF proAI, a centralized computer, the ZF Innovation Truck always manages these tasks quickly and precisely. While ZF proAI is the ZF Innovation Truck’s brain, other ZF technologies enable it to act: the active electrohydraulic ReAX commercial vehicle steering system and the TraXon Hybrid automatic transmission system, among other types of technology. The latter is characterized by a modular integrated electric motor that allows locally emission-free driving. A camera-based and laser-supported sensor setup, complete with GPS system, gives the truck its orientation and view. The result: faster, safer and more efficient logistics processes at depots. The autonomous Terminal Yard Tractor maneuvers trailers in defined areas to the ramps and back. Its sensor set enables the vehicle to keep an eye on its surroundings. The ZF proAI central computer coordinates the functions of longitudinal and lateral guidance: This enables the shuttle vehicle to take the trailer from the truck and autonomously maneuver it to the ramp for loading or unloading. Once this has been completed, it takes the trailer back to the truck. The vehicle's control system is interconnected with the depot's own systems. Stationary cameras at the ramp capture the rear of the semitrailer that needs to be maneuvered. An on-site computer calculates the trajectory and transfers the data to the on-board unit of the ZF Openmatics telematics system by wireless signal. The ZF proAI within the vehicle processes the information in real time and converts it into instructions for actuation of the engine, steering system and brakes. With ZF's electrically driven Innovation Van, the technology company transfers its comprehensive expertise in automated driving to the requirements of the logistics sector. The Innovation Van is equipped with level 4 automated driving functions. The delivery truck is designed to independently maneuver through urban surroundings, stay on course even if roads do not have lane markings, recognize both traffic lights and road signs and react to sudden hazardous situations. In addition, it can recognize and avoid obstacles such as double-parked vehicles. If two addresses are so close that the best delivery route is on foot, the Innovation Van will follow the driver as if on a virtual leash. If there is no parking available outside an address, the courier can send the vehicle ahead to the next stop, where it will look for a parking space on its own. The technologi is using an algorithm that takes into account customer requests in real time and calculates the most efficient delivery route. Fingertip maneuverability, easy connection of implements (SafeRange and Hitch Detection), and ability to overcome any gradient, even with a tractor-trailer combination, thanks to the additional electric drive unit (Traction Management). ZF has included an off-highway application in their innovation prototypes with the Innovation Tractor. ZF is applying the benefits of technological future trends such as e-mobility and autonomous driving to innovative agricultural vehicle prototypes.